Can regulation make it rain? On Monday, May 7 Federal regulations went into effect requiring any foodservice retail business with 20 or more locations to begin posting nutritional details for food and beverage items on their menus. For most foodservice operators this means a revamp of menu descriptions and the addition of nutrition data sections at their web site and point of order. Typically this features spreadsheet-type lists spraying a blurry, eye chart-worthy inventory of calorie, fat, sugar, cholesterol and sodium stats. But hidden within the clarion call for more what-you’re-eating disclosure is a potential restaurant business goldmine. At stake is an important regulatory-inspired opportunity for change. Important given foodservice businesses already face increased dining dollar competition from the significant resurgence of home cooked meal popularity. Yes, a home kitchen renaissance is underway, spurred by pervasive consumer interest in healthier foods and a desire to exercise more control over meal preparations, portions, costs and ingredients choices. Studies show consumers believe dining out means agreement to compromise on their healthy eating interests while they navigate a trip down the boulevard of indulgence. A recent report by food industry trends watcher The Hartman Group, revealed consumers increasingly blame restaurants for a stunningly short list of healthier choices and absence of transparency around food – thus why they feel obligated to stow their healthy lifestyle interests at the vestibule of their favorite restaurant. According to Hartman’s work, when the majority of consumers who already claim eating out is less healthy answer why this is true for them, the top scoring reason ̶ at 41 percent of those surveyed ̶ was a focus on ‘other things’ rather than health and wellness. But maybe it doesn’t have to be this way. If prevailing food culture shifts point to home-cooked meals as the best and healthiest option for the vast majority of consumers, where does that leave restaurants on the better-for-you lifestyle bandwagon? Could regulation make it rain? The regulatory requirements may have issued a super-sized opportunity to reframe the restaurant menu story around a greater variety of healthier menu options. Then advanced with new technology that allows patrons to configure their own more informed, personalized menu choices ahead of arrival or on site with mobile friendly apps. But first, is the product itself. Restaurant meals can be made healthier without sacrificing taste by applying some of the more enlightened thinking now fueling the growth of new, emerging packaged food brands that are mounting a supermarket shelf takedown. Novel ingredients, cooking techniques, new forms of sweetening using natural sugars or sauces made with vegetable broths; meat alternatives formulated from nuts or pea protein – a cornucopia of new innovation is circling the food industry with an offer of improved nutritionals while delivering the indulgent flavors and textures of chef-inspired food. There’s simply no longer any reason why menu items can’t be made healthier while retaining taste. It may add cost per serving but then we’ve also have seen repeatedly seen that consumers are willing to pay more for healthier fare if it can be verified as such – assuming taste is not sacrificed on the alter of improved nutrition numbers. San Diego-based digital foodservice player HealthyDiningFinder.com, originally stepped into the restaurant marketplace to curate a search-able database of restaurants offering healthy menu items. More recently, they’ve rolled out their new MyMenu platform at CPK and Mexican cuisine specialist Rubio’s Coastal Grill, an algorithm driven business that offers restaurants a plug-and-play solution to their regulatory obligations, but served in a more user-friendly experience. It also brings a compelling add-on benefit: personal menu customization. California Pizza Kitchen’s MyMenu pages open the door to new reasons to visit: With a few short clicks using a sliding bar selection tool on desired nutritional limits, the platform automatically sorts menu choices according to these preferences while calling up attractive photos and detailed descriptions of each dish or beverage. It reveals what’s in them and what they impart in terms of nutrition impact (calories, fat, sugar, etc.). The Rubio’s MyMenu page also offers a pre-set list of menu alternatives created by Healthy Dining’s dietitian experts around lifestyle preferences such as Energy, Fit Lifestyle and Weight Control. Each choice rolls up special menus based on these specific interests. The tool’s flexibility creates the option to customize a dish with ingredient swap-outs or to build a full meal while each dish and drink selection repopulates the overall impact on nutrition outcomes, so you know immediately how many calories and fat grams are involved. 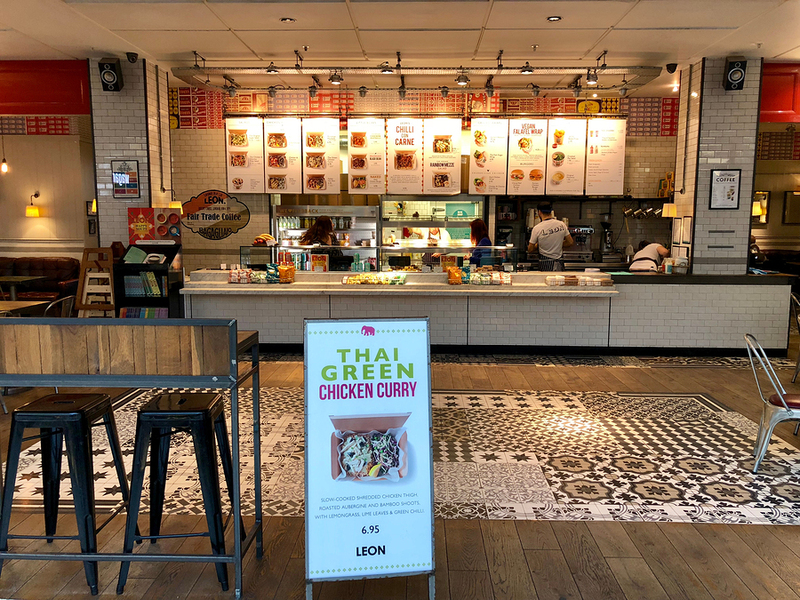 In a soon-to-arrive platform enhancement, Healthy Dining says guests will be able to save selections for future use, and there will be options for purchase on-site, for pick-up or delivery. Then patrons will be able to build and retain their own personal menu for a variety of their favorite eateries using the tool ̶ all based on individual dietary preferences and healthy dining interests. Of course, the key here is to actually have healthier choices available, and in doing so, solve the dilemma of perceived nutritional sacrifice that restaurant eating might entail. The goldmine is simple: remove the friction from healthier choice at out-of-home eating by offering more healthy choices. Then look to software platforms like MyMenu to allow patrons to examine, sort and retain their healthy meal preferences ̶ and with it creating an opportunity to forge foodservice brand preference. For those restaurants that get this right, it could be an equally compelling do-it-for-me dining offer that rivals the siren song of home cooked healthier meals. For all of the talk about a desire for greater transparency in the food system, much of the pet food world’s product creation work remains behind closed doors. Is it time to open up the curtain and shed more light on ingredients, sources, standards and processes in service of securing greater consumer trust? Unrelenting premiumization of the pet food business is being driven by the continued humanization of furry family members. At the apex of this anthropomorphic trend is a near lockstep upgrading of pet nutrition formula and nutritional bona fides that closely follow the food culture preferences of people. No surprise the primary fuel for all of this is a belief held by consumers that the quality of the food they consume impacts the quality of their lives. Therefore, the same rule applies to their pets and the perceived nutritional benefits they can receive in their diets. In sum, people want healthier food solutions for themselves. Pet foods now face the same evaluation. What is that? Health and wellness is the leading call to action. However embedded in this trend are the same concerns people have about the food they personally consume – interest in sustainability, visibility to ingredients and sourcing, ethical production and safety. The Innova research study reports, 70 percent of consumers want to know and understand (human) food ingredient lists. This can be challenging in pet food where historically ingredient decks expressed on kibble packages are lengthy, complicated and employ terminology foreign to most people. Additionally, the rapid migration of grocery shopping from packaged food center aisles of the store to the fresh perimeter departments is evidence of preferences for real, fresh, simpler food that is less processed. ‘Real’ food ingredients on labels are wanted. According to a recap of Innova’s study published in Pet Food Industry magazine, the number of human food products launched this year with a healthier claim increased to 49 percent. It’s a reflection of the growing desire to address consumer demand for healthier foods. So, how foods are made will matter. Right now clean label is center stage. It should be noted that ‘clean label’ itself is an outcome of efforts made during product development; work which includes standards for ingredient sourcing, optimizing nutritional benefits, and committing to higher integrity around recipe formulations. Pet diets are for the most part a highly processed food where the more popular delivery vehicle of dry kibble in varying shades of tan to brown, appears to be identical from brand to brand. Deconstructing the kibble is another matter and it is in this arena where differentiation (and consumer trust) can be found. The Hartman Group’s Sustainability Report for 2017 says consumers expect companies to “openly share sustainability practices” and 73 percent of consumers are aware of what transparency means with respect to business practices. Pet food brands with a strong nutritional story to tell could benefit from a super transparency approach. Kibble can’t really telegraph any specific information one-way or other. The ingredients used to make it, on the other hand, present an educational opportunity. Pet brands that tell stories about ingredient sources, suppliers and product creation can effectively address integrity questions in a meaningful way. What’s really bubbling underneath: issues surrounding health and quality of life. Traditionally the pet food industry has operated behind closed doors, but the consumer is asking that the door open more fully. Far enough for consumers to have improved access to knowing more about the ingredient standards and food quality that goes into their pet’s diet. No question; pet food and people food are not the same thing, even though some brands would like you to believe that the steak you had for dinner is inside the kibble bag. 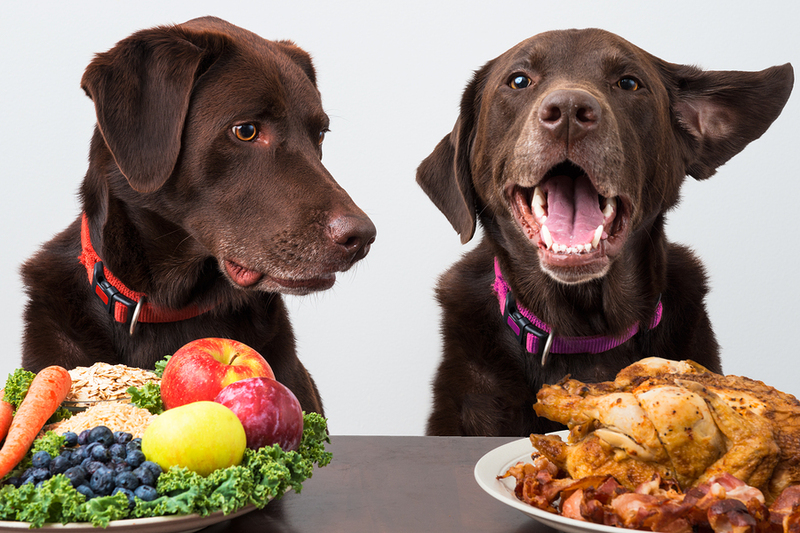 When higher quality pet food makers take their commitments and standards on ingredients and bring them to life, they can improve their ability to secure trust and belief from the humans selecting foods for their four-legged family members. Ultimately the desire for product transparency is a demand for validation and evidence of what most pet brands claim in their package messaging. The move to super transparency (which really means taking the consumer behind the product creation curtain) is a way to bring better understanding about what their pets are eating. And yes, pet parents truly care about this in the same way they care about how foods are made that they eat themselves. Super transparency is now a furry business-building opportunity! Taste and desire at odds with healthy? At the recent national FNCE (Food and Nutrition Conference and Expo) convention in Houston, the largest annual gathering of nutrition and dietary experts, one of the best-attended “hot topic” presentations dug into the perennial challenge of healthy vs. human. And in doing so uncovered massive opportunities for food and beverage businesses to help consumers lead healthier lifestyles. Desire for healthy lifestyle connected to healthier choices. Where does this sit in your strategic plan and mission? Yesterday 16 top food and beverage makers announced they have met their goal to cut 1.5 trillion calories from their products, as part of their collective involvement in the Healthy Weight Commitment Foundation. In the same story a Hudson Institute report states that better-for-you products contributed $1.25 billion of sales increases for the 16 companies involved from 2007 to 2011 (just $300 million in sales growth attributed to high calorie options in their portfolios). So clearly better-for-you is better for business. Consumers are making food and beverage brand decisions based on perceptions of healthier choice. How are you aligned with rapidly shifting attitudes about healthier choice? This post is intended to break down and summarize the conditions that will move businesses forward or backward based upon their consistency and compatibility with mental markers consumers now infer on their food choices. Are Parents Losing Healthier Choice Battle For Kids? Parents need help to solve the healthier choice dilemma. An important new study produced by the Robert Wood Johnson Foundation and Harvard School of Public Health, reveals a widening gap between parents’ desire for their kids to eat better and exercise more, and the reality of life’s pressures. The report’s findings also unearth a growing opportunity for brands to be part of the solution — and in doing so open a new and relevant conversation with mom – who already controls more than 80% of household buying decisions.